Prior to purchasing a car, you should carefully verify it to avoid further major spending right after finalizing the transaction. Especially that there are ways to quickly verify the history of a vehicle. To do that, you can test the thickness of the varnish using a dedicated tester, e.g. AXIOMET AX-CTG10. AXIOMET AX-3010H is a portable mid-power PSU with a set of pre-defined features that turn it into a battery charger. It's also equipped with a USB power port. 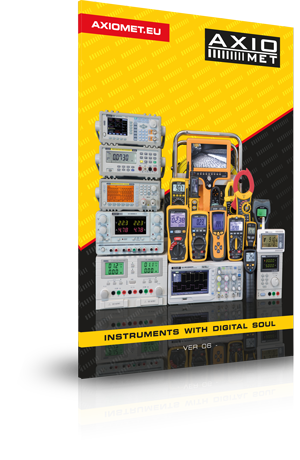 Thanks to a switch-mode design, the device is lighter and smaller than linear solutions, and at the same time it allows for digital regulation and measurement of output voltage and limiting of output current. An extended range of output voltage adjustment is an important feature of the AXIOMET AX-12001DBL power supply, which is a part of the high/medium power lab PSUs. Its simple transformer construction ensures stepless adjustment of output voltage up to 120VDC and adjustment of the output current limit. The AX-3020L power supply is a high power device with stepless adjustment of output parameters throughout the entire power range up to 600W. Its simple transformer construction enables creating various configurations in order to increase output voltage or load-carrying capacity.